Benjamin Fr.... oops, not Franklin. 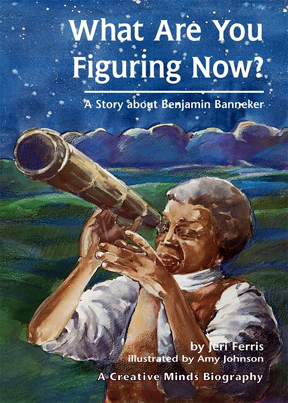 Benjamin BANNEKER built the first wooden clock in America, was a mathematician and astronomer and musician (flute), wrote more almanacs than Benjamin Franklin did, and helped lay out our new capital city of Washington, D.C. He was a free black farmer at a time when many black people in the new United States were held as slaves. Even George Washington and Thomas Jefferson were slave owners, as we know.